Kevin is back, kinda’: Many parishes have begun meeting with parents, promoting it, holding fundraisers, etc. As you likely by now know, I resigned as full time director of youth and young adult ministry. I am happy to announce that I will remain employed by the Diocese of Gary to oversee three important youth and young adult ministry events in 2019: the TAPT retreat (March 16-17), the new Awakening retreat (April 12-14), and the diocesan delegation to the National Catholic Youth Conference (Nov 21-24). Rest assured, if all goes according to my plan, you will hardly experience any change from previous years, with one notable exception that I will not be in the office M-F, I will be doing the work from home part-time. You may find less frequent reminders as a result, so it is essential to follow the “Dates and Deadlines” document already sent. ~Kev. That’s why we start the journey over a year in advance! NCYC is expensive, no doubt. But I’ve been in Catholic youth ministry my entire adult life, and I’ve been to 11 of them. I still say it is my favorite youth ministry event, and I strongly believe it’s worth every penny. 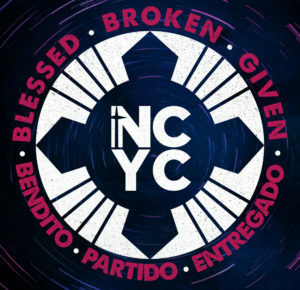 NCYC is everything you love about youth ministry (okay, unless you like small and quiet). Seriously- is prayer your thing? How about 22K+ in silence before our Blessed Sacrament? Service? Sign up and make meals for the hungry. Things feel stale and you’re looking for new ideas? Browse hundreds of exhibitors from across the nation. Need inspiration? The best of the best speakers and workshop presenters, and it’s surreal watching some of those live concerts! Feeling like teens just aren’t religious these days? Surround yourself with about 20,000 of them laughing, dancing, screaming, praying, listening, and ENGAGING. Courtyard, confirmed: We have again been assigned to the Courtyard by Marriott Indianapolis Downtown, the same hotel for which we have been assigned since 2011. All previously-published estimates were based on the assumption that we would be placed there, so those figures will hold up. If you missed the meeting, a recording is available. Email Kevin at yyakev@yahoo.com to request the link. Link to YouTube video: I showed a promo video during the online meeting but it didn’t translate well. Here is the link. This is a promo video that I spliced together prior to NCYC 2017. There are a number of videos available at NFCYM’s YouTube site. Many are either more low-key or high-energy. This one is a little longer and has both elements. 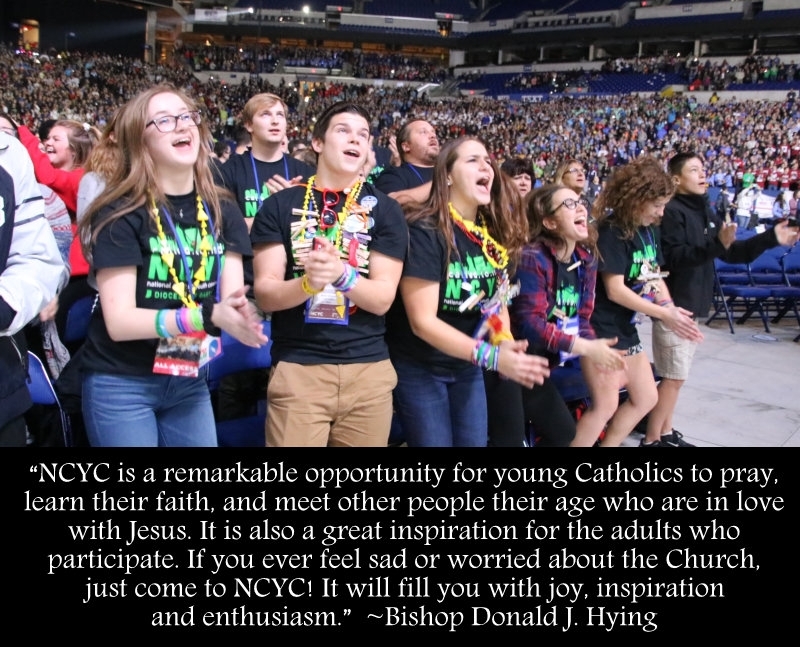 Please note the end shows NCYC 2017, but the video definitely holds up for NCYC 2019.